​Established in 1981, Keweenaw Gem & Gift, Inc. is Michigan’s largest supplier of greenstone (Chlorastrolite)—Michigan’s Official State Gemstone. Ken Flood graduated from Michigan Technological University in 1976 with a degree in geology. The Keweenaw Peninsula, being a “rockhound’s paradise”, made Ken’s decision to stay in the area he loved an easy one. He was determined to develop a business where he could both follow his passion and earn a livelihood. 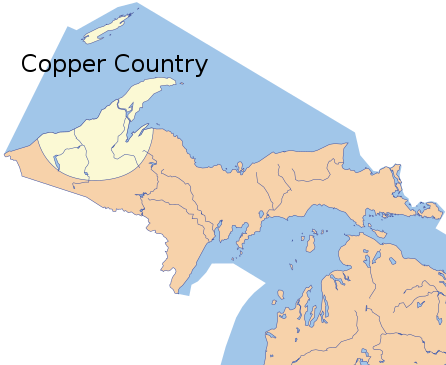 We feature Michigan Native Copper and the related ores and minerals of the Upper Great Lakes region of the USA. The native ore in its many different and fascinating forms is used for bookends, clocks, decorator pieces, and souvenir specimens. Every piece is unique. Keweenaw Gem & Gift sells through their popular gift shop in Houghton, MI, sends products to wholesale customers worldwide, provides customized corporate gifts and awards, and procures mineral specimens for collectors.